Buy Bakugan Wiki a Coffee. ko-fi.com/bakuganwiki - Ko-fi ❤️ Where creators get paid by fans, with a 'Buy Me a Coffee' button. 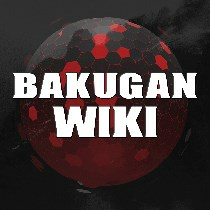 The Bakugan Wiki is a ten-year effort of documenting and recording the history of the Bakugan: Battle Brawler, BakuTech, and Battle Planet series. As of 2018, The Bakugan Wiki has separated itself from Fandom and has established its own independent site. The Bakugan Wiki is a completely community project, and it's with your help we can fund our website. Secured Payments. Support goes to Bakugan Wiki's account. Help fund us for the next 4 months! Upgrade Bakugan Wiki to a yearly Gold Membership with a one-time payment.